On January 12-13, 2019, the first meeting of “Central Asia-India” Dialogue at the level of foreign ministers was held in Samarkand (the Republic of Uzbekistan). The heads of the Ministries of Foreign Affairs of Turkmenistan, India, Afghanistan, Uzbekistan, Kazakhstan, Kyrgyzstan and Tajikistan participated at the meeting. The opportunities for further strengthening mutually beneficial cooperation in trade-economic, cultural-humanitarian and other important spheres were discussed. At the same day, discussions took place in the framework of the first meeting of “Central Asia-India” Dialogue on strengthening peace, sustainable development and prosperity in Afghanistan. Moreover, participants stressed the significance of large-scale projects such as “TAPI” in maintaining security in Afghanistan. 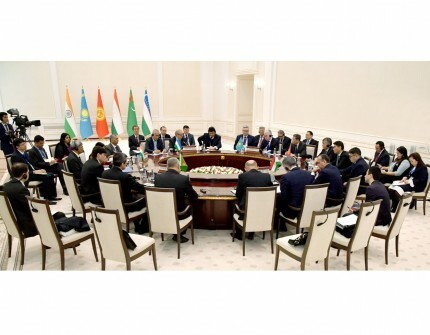 At the end of the first meeting of “Central Asia-India” Dialogue the joint statement was adopted. In the framework of the working visit, the Turkmen delegation has also held bilateral meetings.